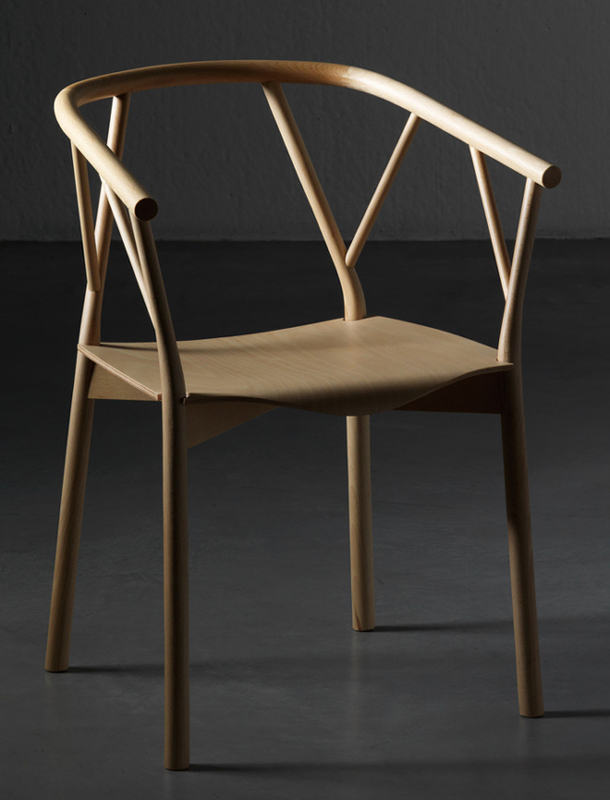 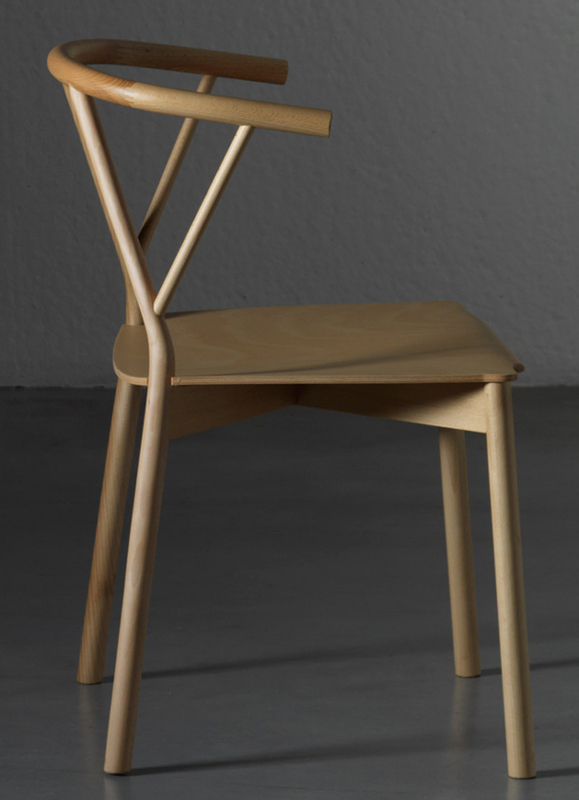 A striking wooden dining chair with bold, modern lines. 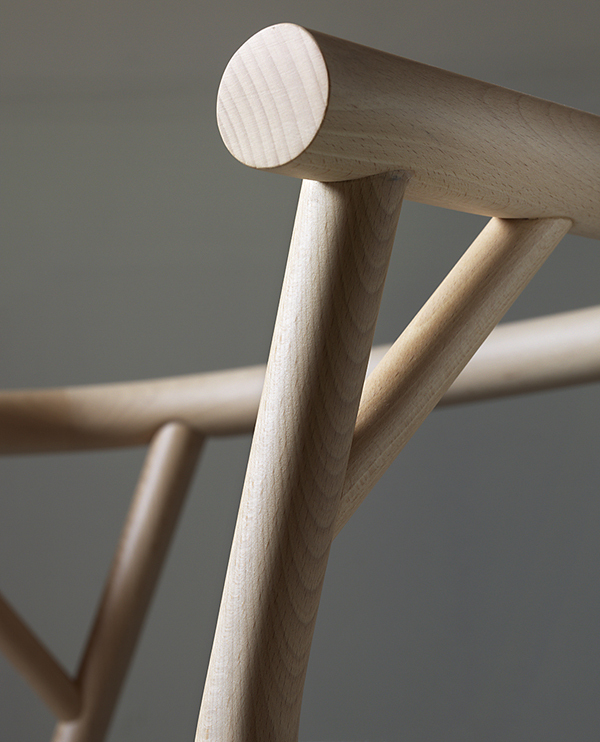 The frame is made from beech wood and is available with a natural finish or lacquered in white or black. 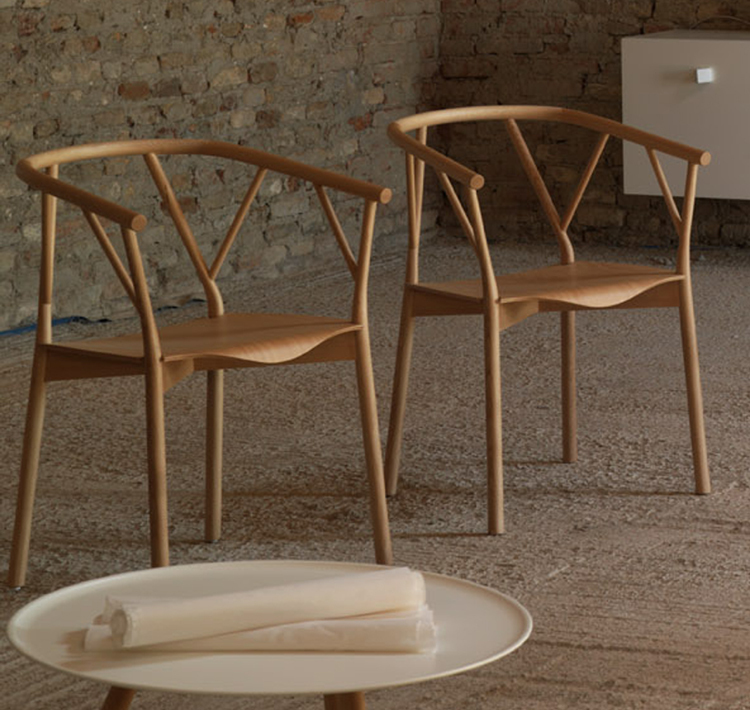 The seat is made from curved plywood and available in with the same natural wood finish, or lacquered in white, black, yellow, green or red. 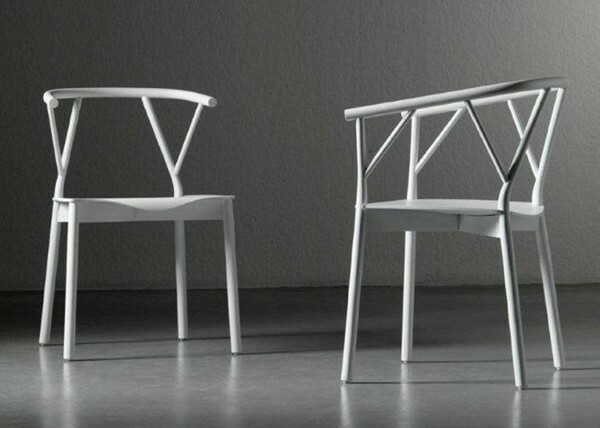 Available with or without arms.